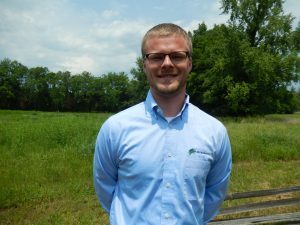 We are so excited to be able to welcome Logan Smith to the team last week as a Staff Scientist I. Logan graduated from Middle Tennessee State University with a Bachelor of Science degree in Plant and Soil Science. Logan grew up on a farm, so he has always had a passion for agriculture, soil, and natural resources. Throughout his undergraduate degree, he held internships with TWRA and NRCS where he began learning about mapping and federal regulations. Logan will handle environmental compliance with LDAR and SPCC for the Tennessee, Kentucky, and North Alabama region as well as special projects.